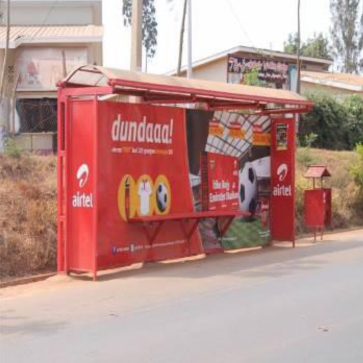 Established in 2008, Akagera Media offers advertising infrastructures in the form of digital LED advertising space, billboards, wall frames, wall branding and 70+ bus shelters all across Rwanda in major cities and the interior countryside. Akagera Media has strategically placed media infrastructure to gain the most amount of impressions from the mass market for the customer. We are capable of building and erecting media infrastructure in many areas depending on the clients interest. 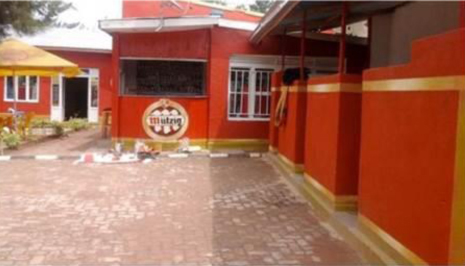 Akagera Media uses Basco Paints in wall branding, which is a world class product that gives our customers value for their money. Basco Paints is the leading paint manufacturer in East Africa. We have many teams located countrywide and are capable of locating sites and branding over 20,000 SQM per week. At Akagera Media we produce and manage superior and innovative events with an emphasis on the smallest details being our key driving force. We build creative and innovative concepts and we pride ourselves on the originality of all our events. Working within agreed parameters, we will monitor every step to ensure the smooth operation of your event, ensuring excellent organization and meticulous attention to detail. We offer a complete range of services and advice for event development, management and production of corporate design, repositioning, digital brand management, corporate publications and communication campaigns. We take the challenge of organizing and branding your events to reflect on your important core activities. We strive to deliver the most creative, impact-full and cost effective event solutions for our clients. We help you manage all your event details, from finding the right venue, to keeping all participants informed of logistics, to creating reports from captured data. Our up-front meeting ensures that we understand your event requirements early on and are properly positioned to respond to your needs upon your request. 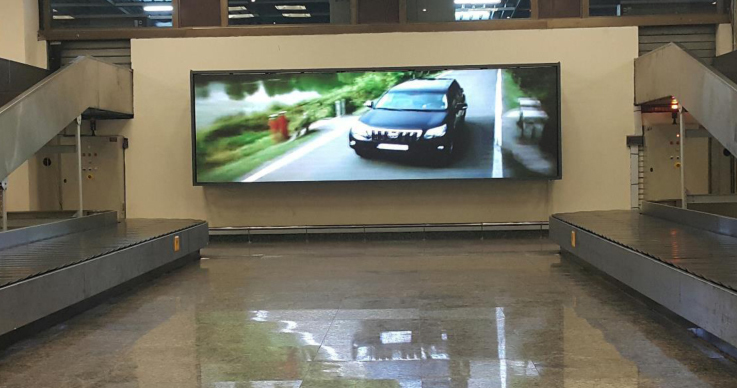 Dynamic & Exciting » Outdoor digital displays are the most exciting and dynamic formats in the out-of-home advertising industry. This advanced LED technology rotates advertising messages every sixty seconds, offering advertisers new opportunities to deliver real-time messages to the traveling public. It has transformed the world’s oldest advertising medium into one of today’s most effective marketing vehicles. Multiple Messages & One Location » Outdoor digital advertising edge springs from its ability to deliver multiple messages at a single location, allowing marketers to deliver the right content at just the right time. Flexibility » Share your message the moment you need to. Adapt to the market and achieve marketing objectives quickly. Create anticipation, customize programs, and build ongoing relationships with the consumer. Efficiency » There’s no need to wait for flex production and installation. 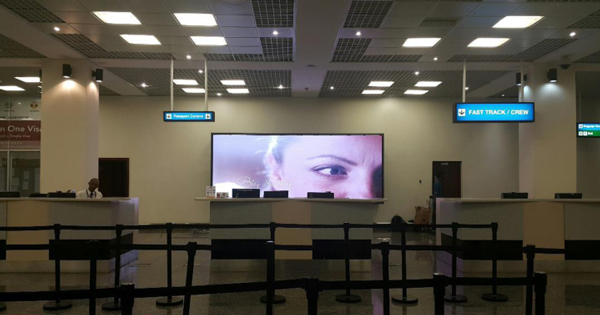 The newest display technology offers the best color definition and image quality day and night. It makes budgeting easier, lets you react rapidly to what works and eliminates the delays and costs of printing. High Reach » We offer locations in high-impact areas, allowing you to quickly optimize distribution, circulation, and visibility. Spots » We offer you more than 350 spots per day and adverts run 24/7 with sound. Consumers are constantly on the move and outdoor media advertisement aids a brand with quick, inexpensive and concise information to help them make rapid purchase decisions. Get more exposure for your money. Spend fewer advertising dollars and maintain your current exposure. Localize your message to geographic or demographic targets. Delivers a timely message targeted to active consumers who are prepared to buy and are often conveniently at the point of sale. Guaranteed deliveries & after sales service. Quick response & supportive servicing team. Ability to handle small & big campaigns with affordable pricing & quality deliverables. 8 years of experience in providing successful campaigns to clients from multiple industries.